As many of you know, I lived in Mississippi my entire life until we moved to NYC in 2010. While I do so love living here, one thing is just not the same. Biscuits! 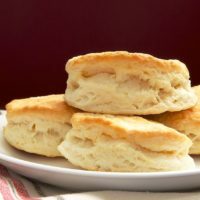 Honestly, biscuits are so ubiquitous in the South, that I never really bothered making them that often. If I had a hankering, we’d just go get breakfast in a restaurant or pick up a sausage or chicken biscuit at any available place. Recently, the idea to bake biscuits got in my head and wouldn’t go away. So, I decided that I would bake some. Eventually. Then, I got a little extra push in that direction. That push came in the form of a box full of biscuit essentials from White Lily. If you’re not familiar with White Lily, it is what I think of as Southern flour. I can’t remember ever being in a grocery store in the South and not seeing it on the shelves. It’s the first choice of many for baking biscuits. 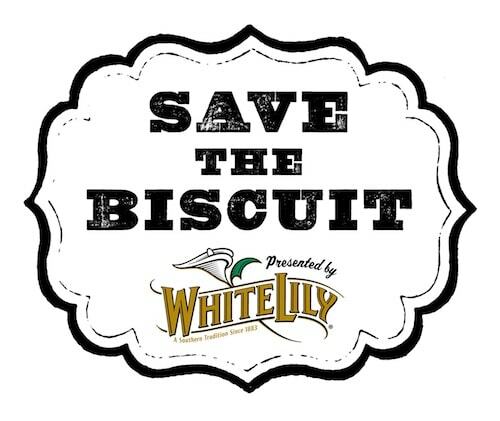 Last fall, White Lily began a “Save the Biscuit” campaign, and I am all too happy to help with the crusade. So, armed with my biscuit-making tools, I got to work and made a batch of biscuits. We ate those, and I made more not long after that. And, there’s been another batch recently, too. I think I’m making up for lost time. If biscuits have never been a big part of your eating life, this is the time to change that. They’re amazingly simple to make. And, most importantly, they’re so delicious and versatile. 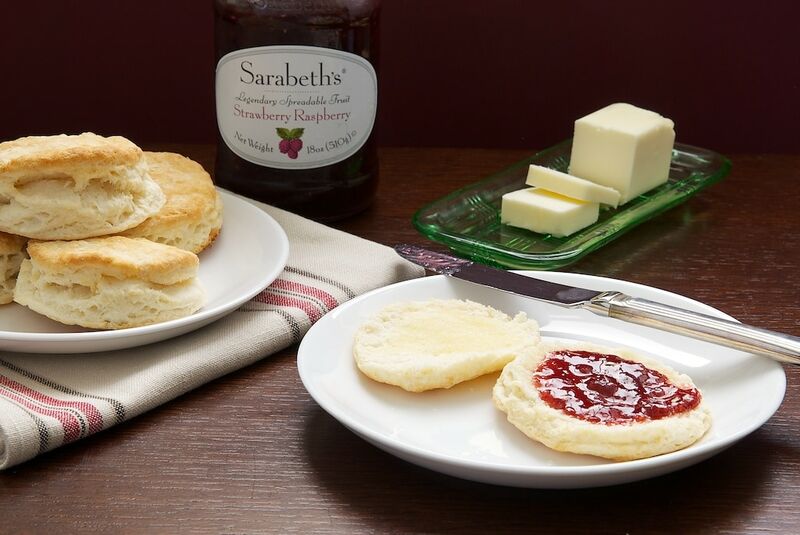 I love to spread a little butter on a warm biscuit and then slather it with preserves. They’re also good with breakfast meats like sausage (my favorite) and bacon. 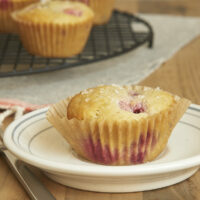 You can even put them on the dinner table alongside soup or chili or a whole slew of options. If you’re a little more daring, spread on a little cream cheese and top with pepper jelly. One quick ingredient note…. I make my biscuits with butter instead of shortening. I won’t argue that shortening makes a fine biscuit, but I just generally don’t bake with it. Feel free to substitute an equal amount of shortening if you like. 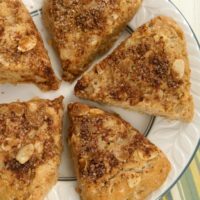 Buttermilk Biscuits are buttery, delicious biscuits that are perfect for everything from a breakfast treat to a dinner companion. Preheat oven to 500°. Grease or line a baking sheet. Whisk together the flour and salt in a large mixing bowl. 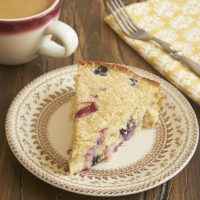 Add the butter and mix using a pastry blender or a fork or two knives. For flaky biscuits, mix until the butter is the size of small peas. For tender biscuits, mix until the butter is the size of fine crumbs. Form a well in the center of the dry ingredients. Slowly add the buttermilk and continue mixing. Add just enough buttermilk until the dough comes together and pulls away from the sides of the bowl. Do not overmix. Transfer the dough to a lightly floured surface. Knead the dough gently 2-3 times until it holds together for rolling. Roll the dough into a circle about 1/2-inch thick. 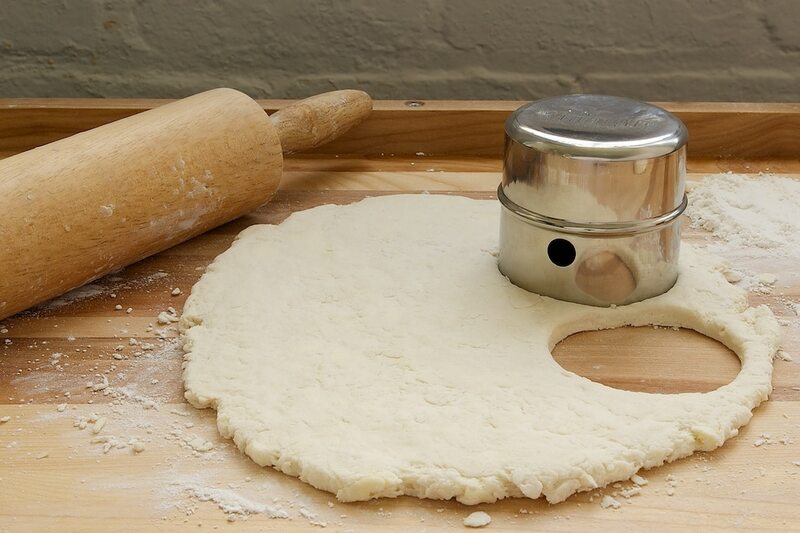 Use a 2-inch biscuit cutter to cut the dough into rounds. Gather the dough and re-roll as necessary. Place the biscuits on prepared pan. For crisper sides, place the biscuits an inch apart. For softer sides, place the biscuits so that they are almost touching. Please read all the entry details below. You must be a U.S. resident to enter. Prize will be sent from White Lily. If the winner does not respond to my email within 48 hours, another winner will be chosen. 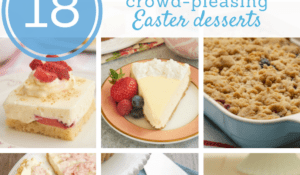 Please add bakeorbreak at gmail dot com to your address book so you won’t miss my email if you win! Disclosure: I was provided with products by White Lily. The giveaway products are also provided by White Lily. All opinions are my own. Hi, Lacey! I’m from the northeast corner of MS. I grew up in a tiny town and then lived in Tupelo before moving to NY. These are the same biscuits my big mama makes. I grew up on them and they are so delish! Very beautiful! 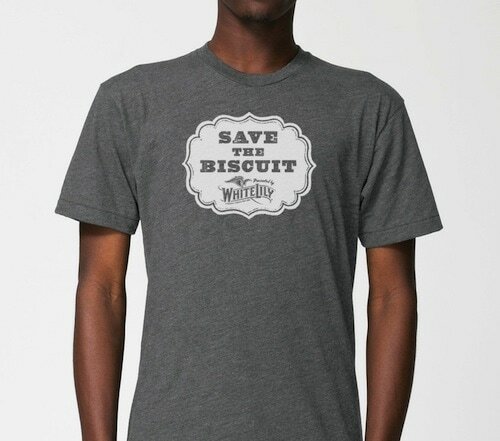 Oooh I love love love biscuits, and I adore you bringing up your Southern pride and gettin’ biscuits back! Homemade biscuits are one of the things I adore about being born and raised in the south!! Hats off to White Lily!! Nothing is better then a good biscut! Can’t wait to try this recipe! I love biscuits with European butter! My grandpa lives in Jumpertown,MS. Have you ever had/ made chocolate biscuit gravy??? If so do you have a recipe? Lacey, I love chocolate gravy! It’s been far too long since I made any. Here’s my favorite recipe for it: Chocolate Gravy. And, I know exactly where Jumpertown is! Small world! I always use white lily for biscuits!! Regular flour just isn’t the same. My favorite way to enjoy biscuits is spreading them with honey butter. When I lived in Texas, we had biscuits with lots of meals. Good coastalSoutherners always want homemade Mayhaw jelly on their biscuits. I love biscuits with pot pies. I honestly had no idea that biscuits were SO easy. I am definitely going to have to try these. They look so perfect! I live in the Chicagoland area, I order White Lily at least once a year. It really does make the best biscuits! 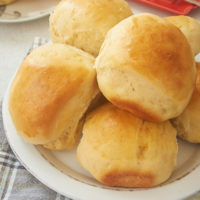 I have very vivid memories of my grannie making tons of biscuits for family breakfasts. She would let them rise spread out cross the washer and dryer, and it was like it was my life’s mission to sneak pinches of the dough. 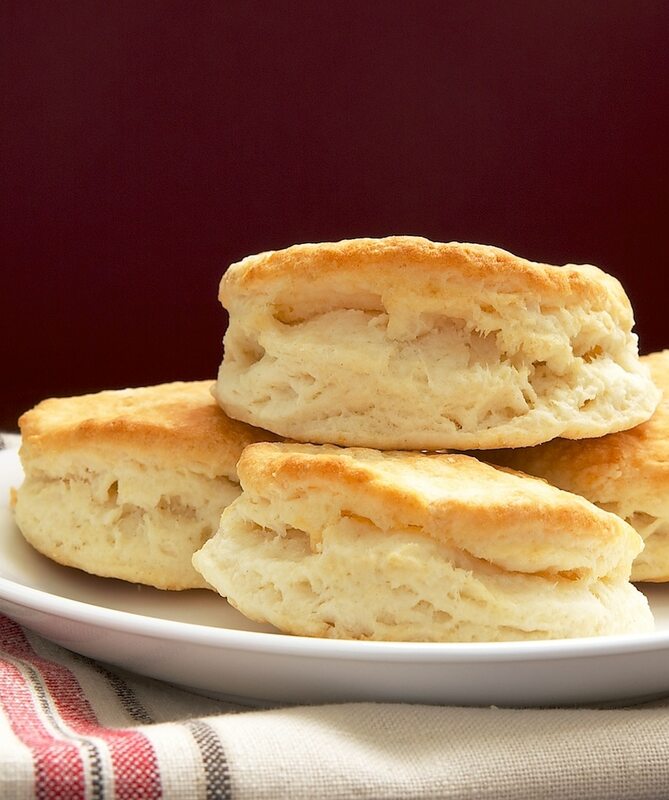 I think biscuits hold a special place in every Southerner’s heart. Glad you could recreate them in NYC! 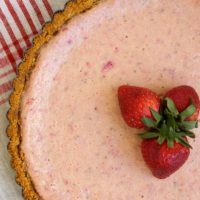 There are not many recipes with only four ingredients! These biscuits look great adn easy enough for me to have a go! I like eating biscuits with homemade strawberry jam. Is there a place we can order the t-shirt? Gayle, I don’t know but I will try to find out. I too have been having the urge to bake biscuits! 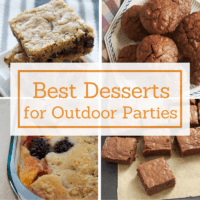 Try them with chocolate gravy! Yummy and served warm! I made these and rolled out too thin but still didnt rise much but were still yummy. my husband ate them all! Hi Jennifer. I would love to double the recipe and make larger biscuits. If I made four inch biscuits, he much longer do you think they should bake? Hi, Mary. They shouldn’t take much longer to bake. I’d check after the recommended time and evaluate from there. My guess is maybe another minute or two, if that.